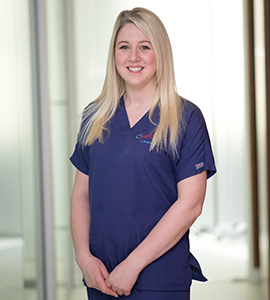 Lindsey qualified as a dental nurse in 2009 and has worked with the Eilertsen’s since leaving school in 2006. Lindsey also passed the dental radiography SVQ in 2012. Lindsey is sedation trained and was awarded the Professional Development Award in Intravenous Sedation in early 2017. She routinely works with Dr Eilertsen assisting with implant procedures, sedation and cosmetic treatments. In her spare time Lindsey enjoys competing with her horse Toby.